I have a confession to make: I’ve been suffering from painter’s remorse. While the entire house has been entirely repainted, I played it safe with my choice of colors. 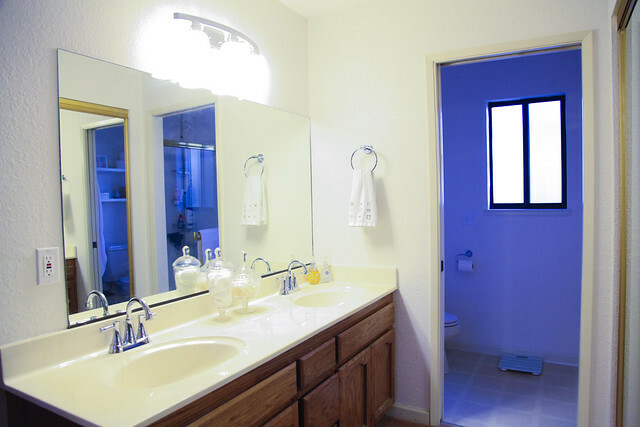 Case-and-point: the master bathroom. Originally I chose the lighter options from the same palette as Chocolate Froth, the color of our master bedroom. Because of the way the walls connected, I thought it would be nice to use different shades to create a gradient effect. Well, what ended up happening is you couldn’t tell the difference. Now living with those choices for several months, I’ve been able to think about other possibilities. One of which was a dark turquoise. I wanted a color that would make the gold fixtures in the shower appear less dated. 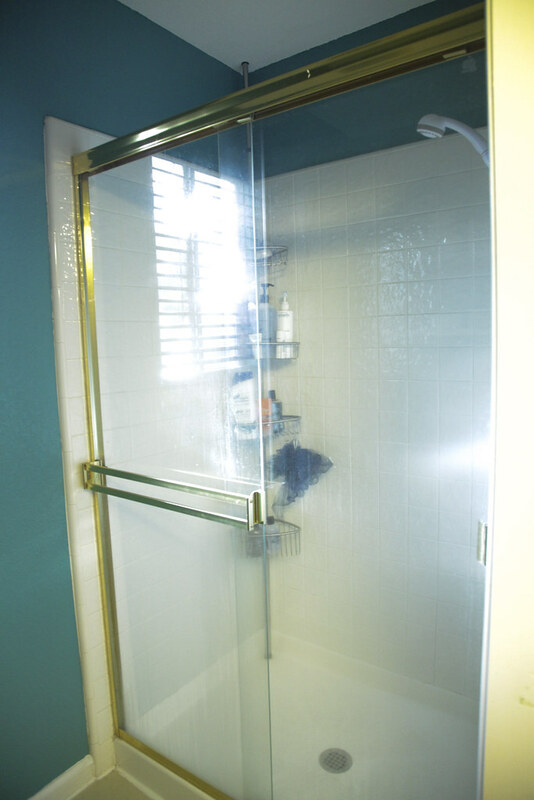 Replacing the gold fixtures would require upgrading the shower altogether and seeing as that’s out of our budget, I went with the cheaper option of working with what I have. We also replaced the toilet, so it was the perfect opportunity to get a fresh coat of paint up without too much maneuvering. 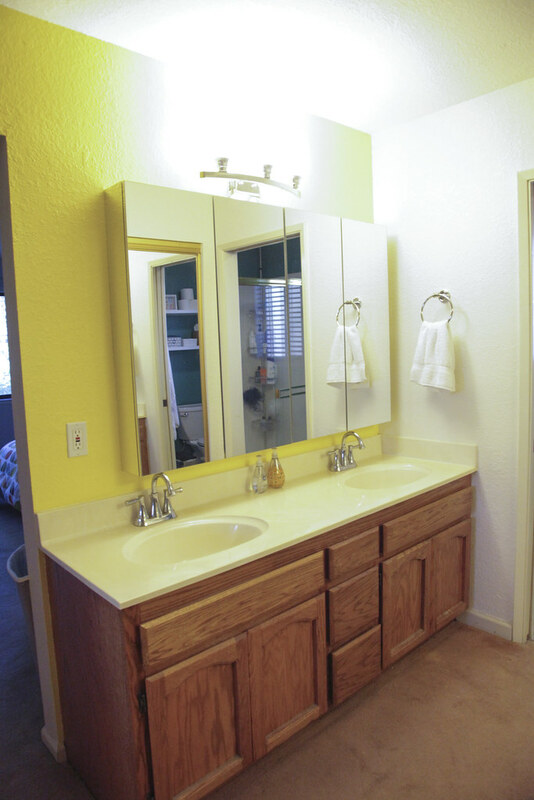 In addition to the toilet/shower area, I updated the vanity wall with an accent color and new cabinets. 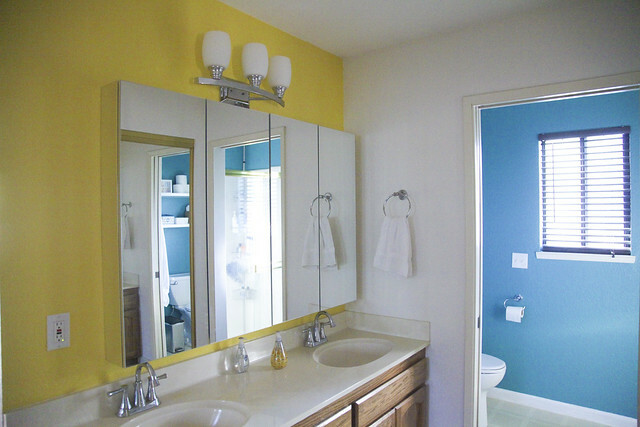 I chose a yellow that would compliment the turquoise but also be one that I could match up to a gray vanity cabinet to at a later date. 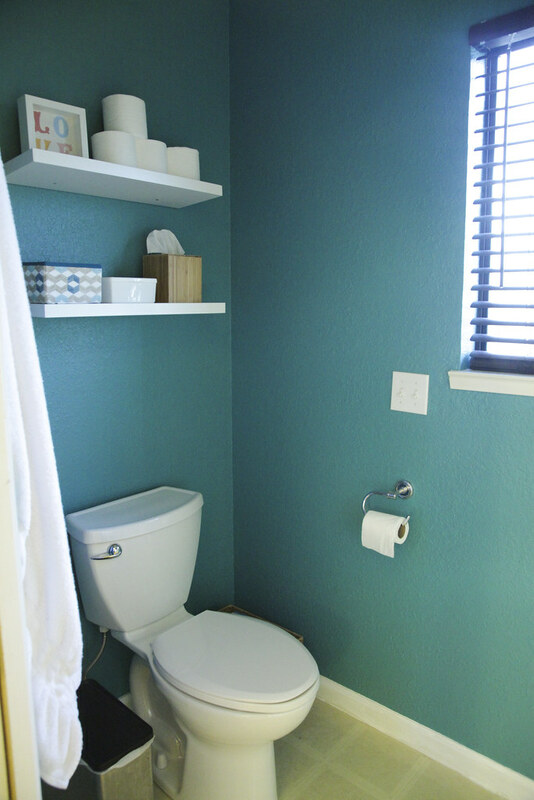 I also wanted to choose a color that transitioned well when looking at the bedroom from the bathroom. 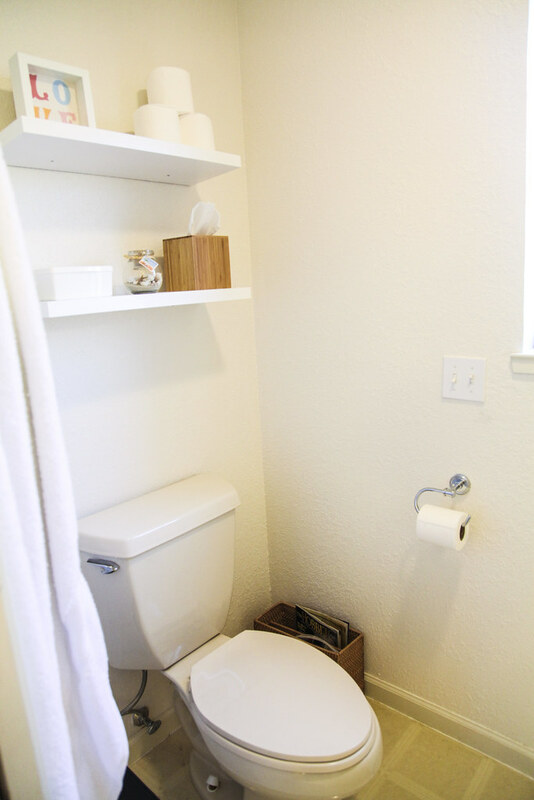 I haven’t decided yet but perhaps when we replace the closet doors (bye bye gold) I might extend the yellow to that side of the bathroom/closet area. Until then it’s a nice, bright accent color.